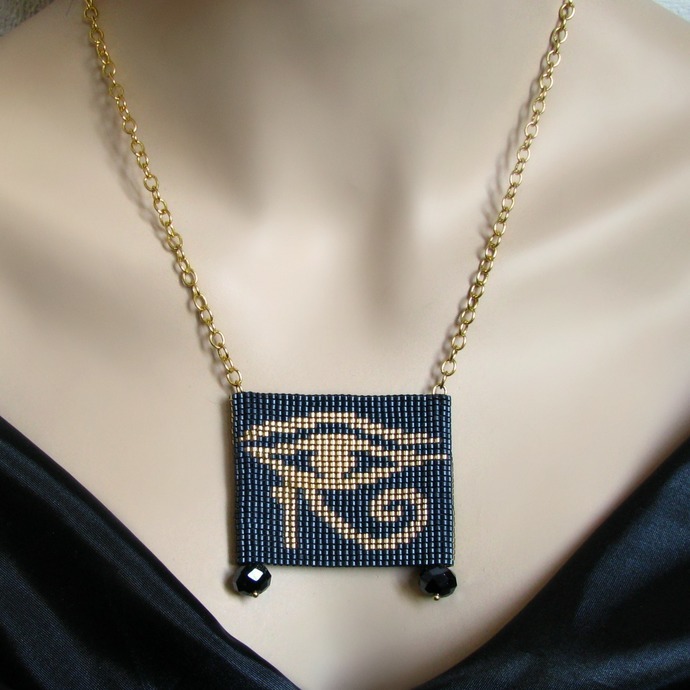 The Eye of Horus is an ancient Egyptian symbol of protection which is featured in this unique bead loomed slider necklace. 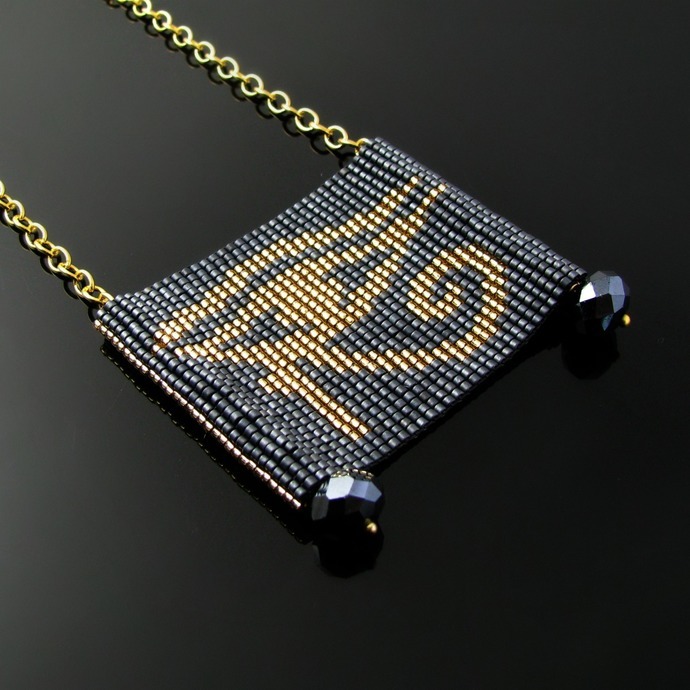 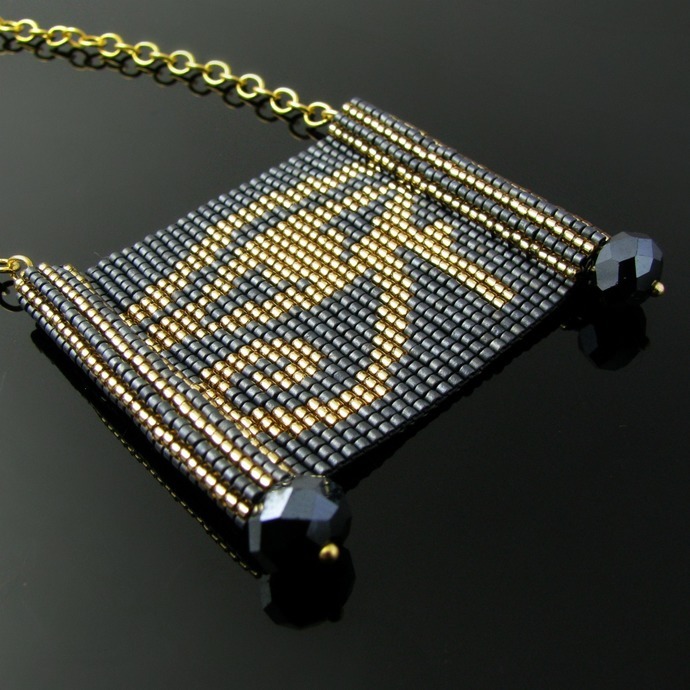 The symbol is worked in shiny gold lined crystal Delica beads on a matte blue-grey background. 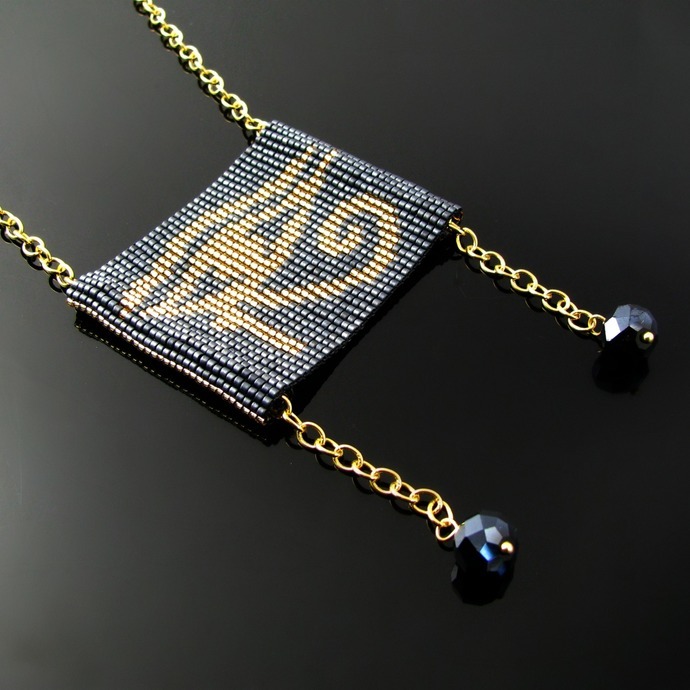 There is a tube bail on each side through which the gold tone chain is pulled and which allows you to slide the pendant along the chain for different looks. 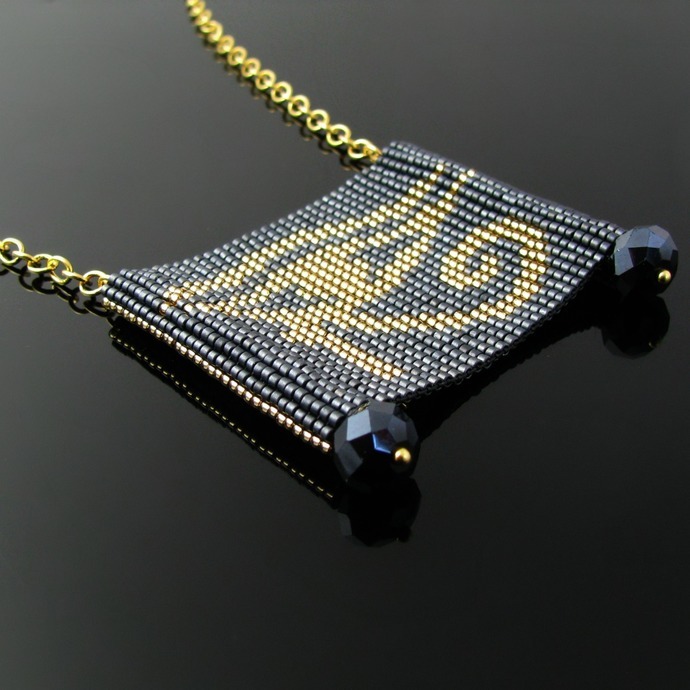 To avoid it sliding off the chain there is a sparkly dark blue crystal on each end which can dangle more or less depending on how much you slide the bead loomed part up. 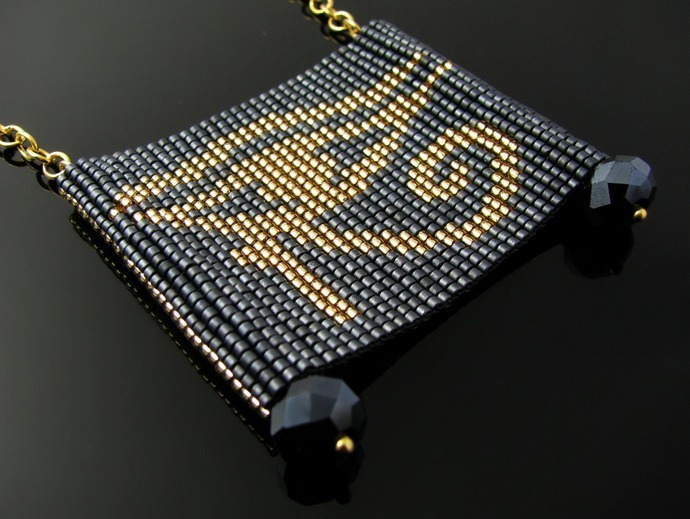 The pendant is 5.2 cm or 2 inch including the crystals. 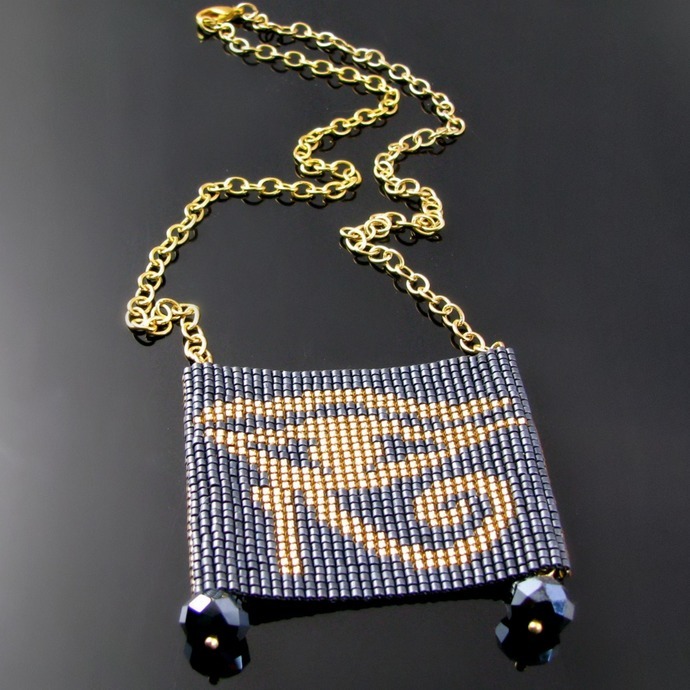 The chain is 46 cm or 18 inch long measured to the top of the pendant, it is closed with a gold tone lobster clasp.